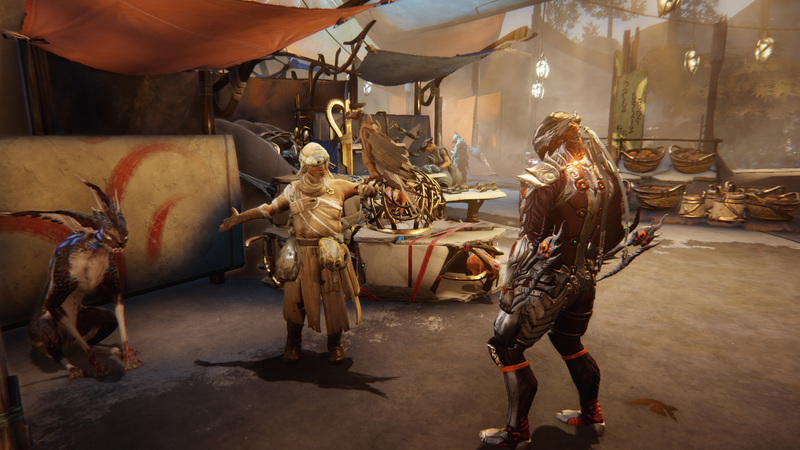 Digital Extremes, Warframe’s developers, announced the news officially during its livestream, but we spoke with live ops and community producerRebecca Ford about it further. You can read that in our full feature. The update, due out later this year, will radically change Warframe. Instead of running raids on space stations, you’ll have access to a region filled with quests for you to discover and complete at your own pace. In Eidolon, you’ll find a coastal town called Cetus, where 50 players can come and play together. The town is populated by the Ostrons, a group of scavenger people.